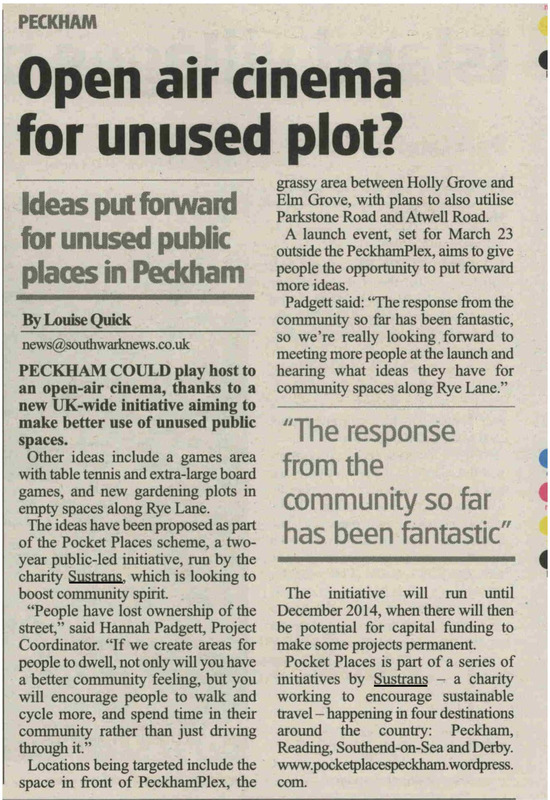 Pocket Places Peckham is in Southwark News! A very positive piece, hopefully they will follow us throughout the two years. It’s easy to get fixated on the early ideas. Even though film screenings and gardens would be fantastic, I’m hoping that we can really expand on those ideas to include some really creative and alternative solutions to local problems as well as beautiful and effective interventions that everyone will enjoy. I hope you’ll join me for the workshops where we will work it all out.